Investment made to take digital offering into the future. EFI™Jetrion® 4830 UV inkjet systemA leading label converter in the Netherlands has increased its existing digital production capabilities with the installation of an EFI™Jetrion® 4830 UV inkjet system. Kolibri of 's-Heerenberg invested in the high-speed printer last October and the company says that it is now proving to be a valuable addition to its core strategy of supplying innovative results across a broad range of narrow-web applications. Founded in 1964, Kolibri has always had a philosophy of continuous innovation through its services, and in the technology in which it invests in order to set itself apart from competitors. An active FINAT member, the company is widely regarded as a pioneer in the adoption of digital UV inkjet technology in the Netherlands. EFI maintains Kolibri is now benefiting from the Jetrion 4830's UV-curable inks and versatility across different label stocks. The system is known for its lean production, the elimination of plates and complex make-ready, and a huge reduction in waste. "We believe that our company's investment in the Jetrion 4830 is a very good choice as it fits into plans to take our digital offering into the future," said Jan Frederik Vink, CEO of Kolibri. "This label solution from EFI gives us a rapid return on investment thanks to its low cost of ownership, high quality results and the ability to accommodate shorter run jobs, saving time, minimising make-ready and improving profitability." 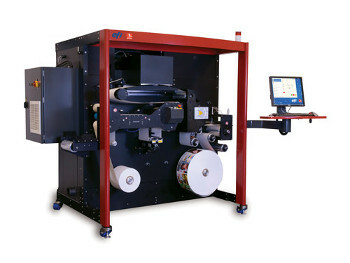 This is echoed by Frank Janssen, regional sales manager Jetrion, who commented: "Label converters increasingly need the best printer efficiency in order to stay competitive and, with the growth in demand for shorter runs, the Jetrion series of UV-curable digital inkjet systems is ideally positioned for versatile production."